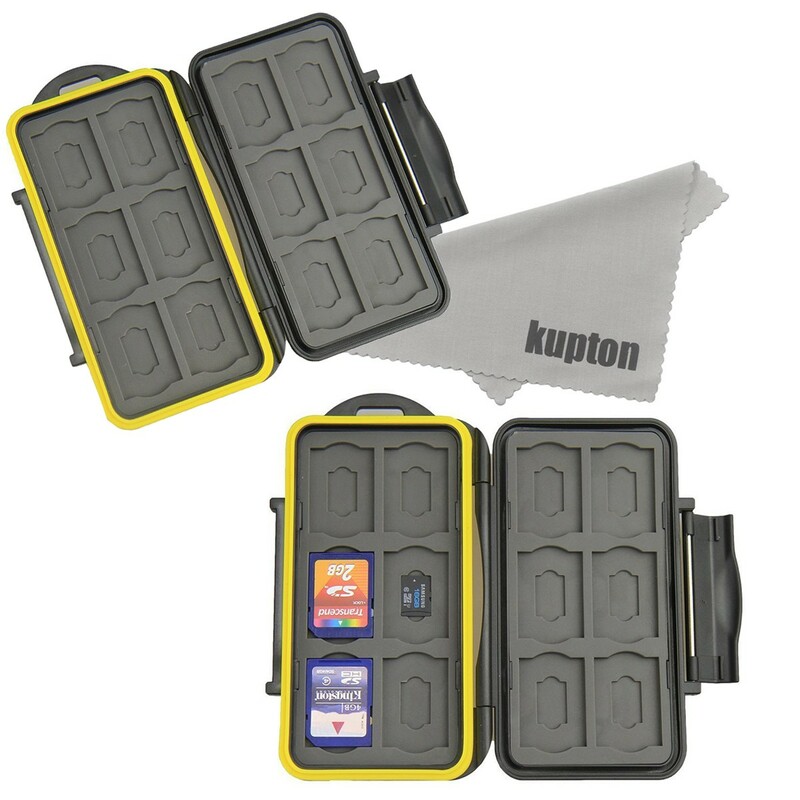 Kupton K020 memory card case is a rugged, water-resistant protection box. It's made of polycarbonate and extremely shock resistant. It can effectively protect against damage from water, sand, dust, etc. As the newest upgraded version, all together you can put 24 pieces of memory cards in this case, including 12 pieces of SDHC / SDXC cards and 12 pieces of micro SD cards. 2 x Memory card case?